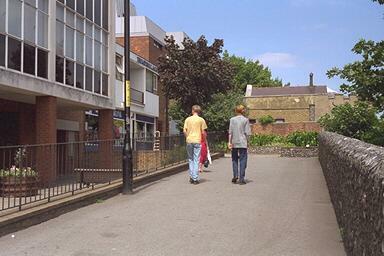 This walk is inside the town walls, which are on the right. You'll end up at Burgate. Turning left places you at the top of St. Georges Street and you can walk down the main street of the City. Turning right gives you the New Dover Road and the way out of the City.